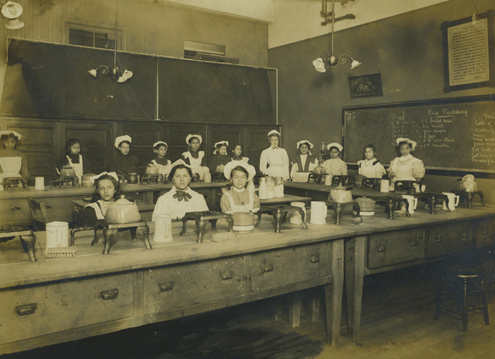 The Educational Alliance has been serving downtown Manhattan since 1889. The flagship building at 197 East Broadway was opened in 1891, and the name Educational Alliance was adpoted in 1893. 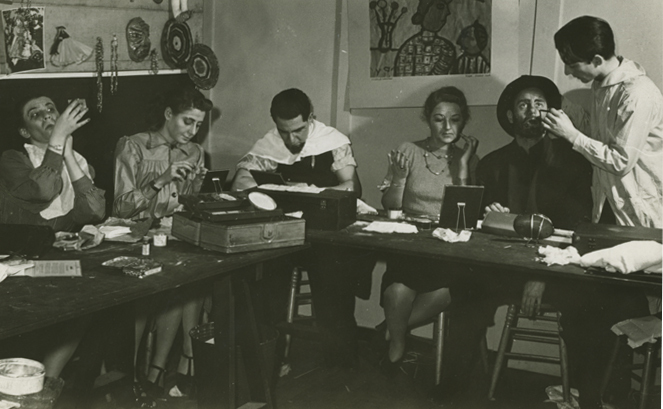 Originally a settlement house for East European Jews immigrating to New York City, the history of the Lower East Side and the history of The Educational Alliance are deeply intertwined. In addition to basic classes and programs on how to be a good American, The Alliance offered a creative outlet via The Alliance Art School, recreational respite in the Rooftop Garden (serving 10,000 people per day in the summer of 1903), and the theater (Eddie Cantor made his stage debut there in 1905), and other escapes from cramped tenement life. 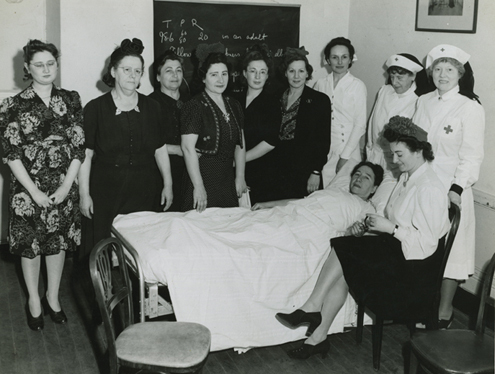 As the population of the Lower East Side changed, so did The Educational Alliance. In the middle of the last century, The Alliance shifted away from being volunteer run and introduced social service programs overseen by trained professionals. In the 1960's, The Alliance pioneered Operation Street Corner, aimed at curbing teen age delinquency. We were one of the first organizations to offer Head Start for early childhood education. Recently, The Alliance addressed the needs of the aging population of the neighborhood by helping establish one of the first Naturally Occurring Retirement Community's, for which it provides services. Our history is one of embracing all of the new arrivals to the Lower East Side, while still maintaining special ties to our Jewish heritage. The Educational Alliance, a cultural and educational institution on New York's Lower East Side, was established in 1889 to promote Americanization of Jewish immigrants. Since 1924 it has been operating as a community and cultural center. As of 2007 the Alliance serves a diverse community through 85 programs at over 25 sites. Records of the Educational Alliance are located at the Alliance headquarters (197 E. Broadway, New York, NY ) and at the YIVO Institute for Jewish Research (15 E. 16th Street, New York, NY)) where the Alliance donated a large collection of its historical records in 1954 and again in 1967. The bulk of the Educational Alliance records are housed at YIVO. These records date from 1888-1968, and contain 133 linear feet of administrative records, correspondence, as well as records from the various divisions, clubs, classes, camps and programs operated by the Educational Alliance. Records at the Alliance headquarters date from 1873 to 1998. Consisting of 63 linear feet, the collection includes: minutes, correspondence, brochures, reports, administrative files, program files, club publications and scrapbooks, Art School brochures and publications, alumni materials, artwork, books, photographs, videos, and a cache of historical documents dating from the founding of the Alliance. Also included are a small group of records of the Emanu-El Brotherhood. Please see collection descriptions listed below. The archives are open by appointment only. Please contact: Ilene Morales at the Educational Alliance via e-mail at ilene_morales@edalliance.org or by phone, 646-395-4061 (for records at the Educational Alliance ) or Ettie Goldwasser at YIVO, via e-mail at egoldwasser@yivo.cjh.org or by phone at 212-294-6157 (for records at YIVO). Records include: Board of Trustees minutes, correspondence, brochures, reports, administrative files, program files, club publications and scrapbooks, Art School brochures and publications, alumni materials, clippings, books, photographs, audiotapes, videos, and a collection of early documents dating from the founding of the Alliance. Bound volumes of the original minutes and a copy of the commercial microfiche edition of the minutes (Minutes of the Educational Alliance, 1879-1980). These include all extant minutes for the board in this period as well as some minutes from the following committees: Young People's Branch; Religious Work; House; Education; Social Work. Annual reports in two bound volumes. Documents pertaining to the formation of the Alliance and the acquisition of funds and properties. The documents include deeds, bonds, leases, mortgages, building plans, and some correspondence. Additional material includes early bulletins from the 1890s listing Alliance activities, a treasurer's account for 1892, a 1907 invitation for a theater program listing Samuel L. Clemens as the host, and a scrapbook of estate bequests to the Educational Alliance, 1924-1961. Early material from some of the Alliances clubs and programs include scrapbooks and newsletters from the Pershing Club dating from the 1920s. 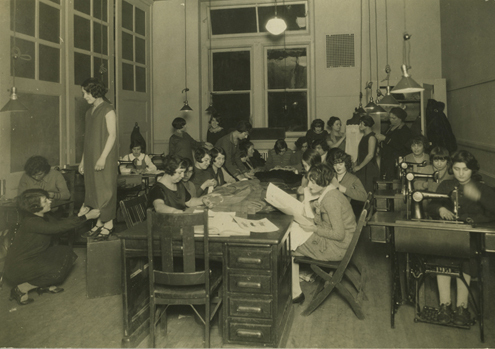 The Pershing Club, active from 1917 to 1927, sponsored many activities including sports, debating and the production of their newsletter "The Pershing Observer". The collection also includes one issue of "Oracle of Honor" (1920), a publication of the Honor Club. Material from this period includes studies, publications, brochures, and correspondence documenting the Alliance's programs and directives. They highlight initiatives undertaken by the Alliance including the move toward the practice of "Group Work", and the change to social service programs staffed by trained professionals. Among these were programs for school dropouts, street people, homeless and the mentally ill. The staff of the Educational Alliance including Louis Berkowitz, Robert Meltzer, and Gertrude Wilson documented the programs in published articles and studies. Additionally, printed matter and publications in the files describe specific programs, including: Head Start, Alliance camps, drug treatment programs at Pride Site, Project Contact to combat delinquency and drug abuse, Project ORE for isolated or homeless older Jewish adults, SRO, providing housing for the elderly, and the first Lower East Side Jewish festival, held in 1976 under the leadership of the Educational Alliance. Files contain correspondence, clippings, brochures, anniversary books, and exhibit catalogs. They include Centennial Committee correspondence (1988-1990), correspondence and information pertaining to Adam Bellow's history of the Educational Alliance (The Educational Alliance, A Centennial Celebration) published in 1990, and a scrapbook and photographs for the 1990 Jewish Museum exhibit: "Painting a Place in America: Jewish Artists in New York, 1900-1945 - A Tribute to the Educational Alliance Art School". These include John Hoover, (Assistant Executive Director for Finance and Administration) correspondence, 1995-1998, and Dan Morris (Associate Executive Director) files 1984-1991. These administrative records from the 1980s and 1990s contain correspondence, memos, budgets, reports, requests for proposals, and brochures, including information on the Alliance's ongoing programs (camps, art school, Project Contact, Pride Site, Head Start, Project ORE). They also reflect the Alliance's participation in federal and state funded programs for alcohol and substance abuse, domestic abuse, and participation in the United States Department of Agriculture Summer Food Service Program. The visual materials include photographs, slides, lantern slides, and videotapes spanning the years 1916 to the 1990s. Audio materials include cassettes, records, and reel to reel tapes. The Alliance maintains an alphabetical photo file including subject headings for Alumni, Art School, Basketeers, Board of Trustees, Celebrations, Eddie Cantor, Gym Programs, Lower East Side, Staff, and Steel Drum Bands. In addition, there are several hundred unsorted slides and photographs (ca. 1950s-1990s) of summer camps for both children and adults including images from Camp Leah, Camp Salomon, and Camp Cummings. Additional slides include images of Project Contact and its component programs, and images from the Art School. Approximately 400 slides from the Beseler Lantern Slide Co., ca. 1920s. These slides were most likely used by the Alliance's Concert and Lecture Department, which offered educational programs every night of the week. Slide subjects include the American flag, government, development of the United States, George Washington, Abraham Lincoln, natural resources and transportation. Approximately 40 videos (many unidentified) include some labeled: "Head Start - Chinese Church, 1992", and "Client interviews 1992". Among the identified audio materials are the following titles: "Alumni Association"; "Dr. Berkowitz and Abraham Lurie"; "Dedication tape 1972"; "Steel Band School" and "The Eddie Cantor Story". The Alliance also holds records of the Emanu-El Brotherhood, a Jewish social settlement agency founded in 1903, and incorporated in 1907. In 1905 the Emanu-El Brotherhood opened a building at 316 East 5th Street, and in 1910 they moved to 309-311 East 6th Street. The Brotherhood was sponsored by Temple Emanu-El (New York) and was initially led by Dr. Joseph Silverman. The records document the founding and programs of the Emanu-El Brotherhood including minutes (1903-1916), programs, menus from fundraising events, clippings, speeches and photographs. The Emanu-El Brotherhood and the Educational Alliance discussed cooperative programs in the period before World War I - when the Educational Alliance closed its Branch A building in 1913, its students used space in the Emanu-El Brotherhood building for one year - but no further joint efforts were undertaken. In the 1960s, the Brotherhood moved to the Emanu-El midtown Y at 344 East 14th Street. In 1996, at the request of the UJA, the Educational Alliance took charge of the Emanuel YM-YWHA, and after renovation, re-opened the facility as the 14th Street Y of the Educational Alliance. Minutes of Educational Alliance administrative and steering committees, correspondence of lay leaders and administration officials, general administration records. Correspondence, reports and other records of various Educational Alliance divisions, clubs, classes, summer camps. Materials relating to : Baron de Hirsch School, Legal Aid Bureau, 1931 1939; Stuyvesant Neighborhood House, 1919 1950; Art School, 1920s 1950s; Youth Division; Young Adult Division; People's Synagogue, School of Religious Work; New York School of Social Work; New York University Survey "The Lower East Side", 1950s. A photograph series depicts the Educational Alliance building, camps, groups and clubs, individuals, English classes, gym classes, 1896 1962, Educational Alliance Art School. For information on the Educational Alliance Records at YIVO contact Ettie Goldwasser: egoldwasser@yivo.cjh.org; 212-246-6080, ext. 6157. Finding Aid: Guide to the Educational Alliance Records, 1879-1968 (bulk 1945-1967).